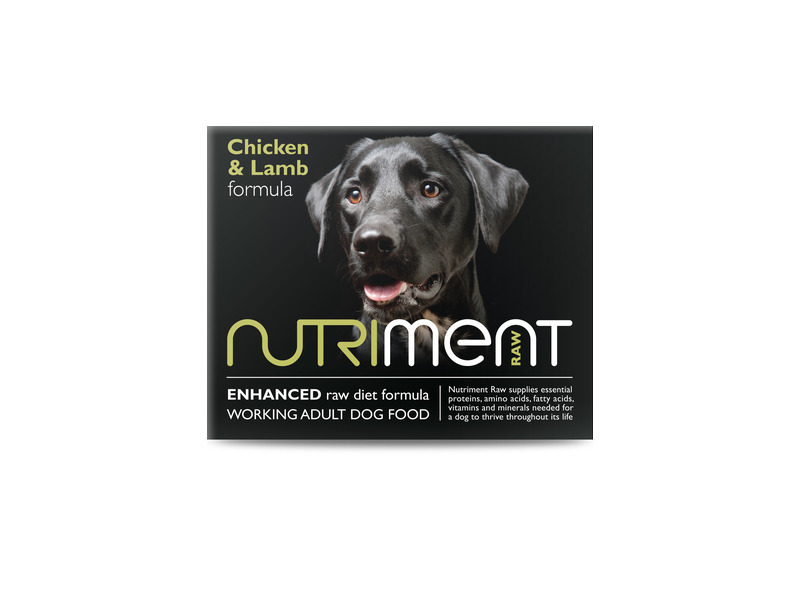 Nutriment's enhanced raw complete formula meets the high energy needs of field and farm dogs, offering highly digestible, flavourful and energy dense nourishment full of essential amino acids, vitamins and dietary macronutrients. 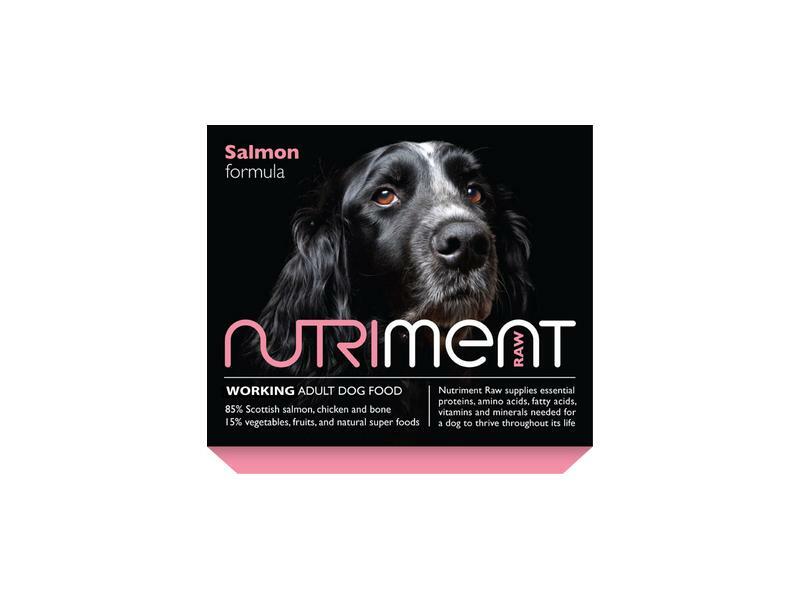 Enhanced natural raw feeding supplies essential proteins, amino acids, fatty acids, vitamins and minerals needed for dogs to thrive throughout their lives. 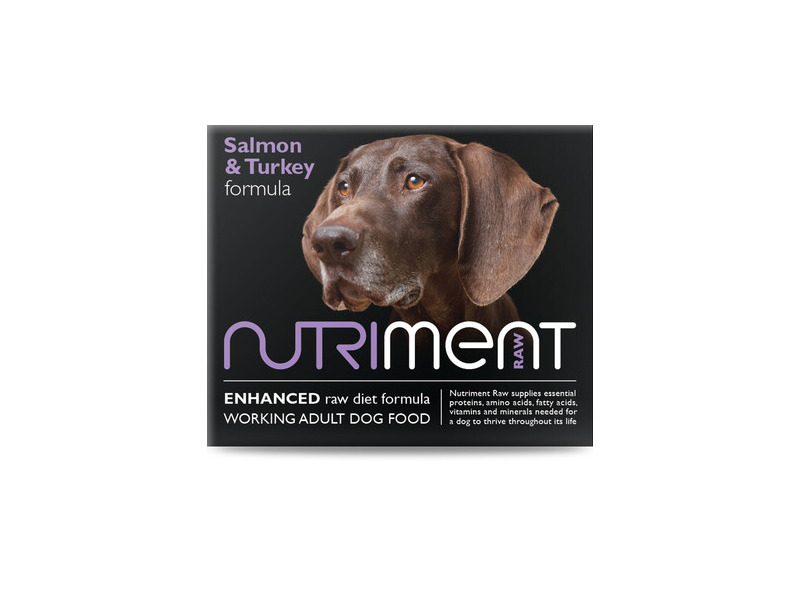 *Lower fat, making this product a perfect everyday food. 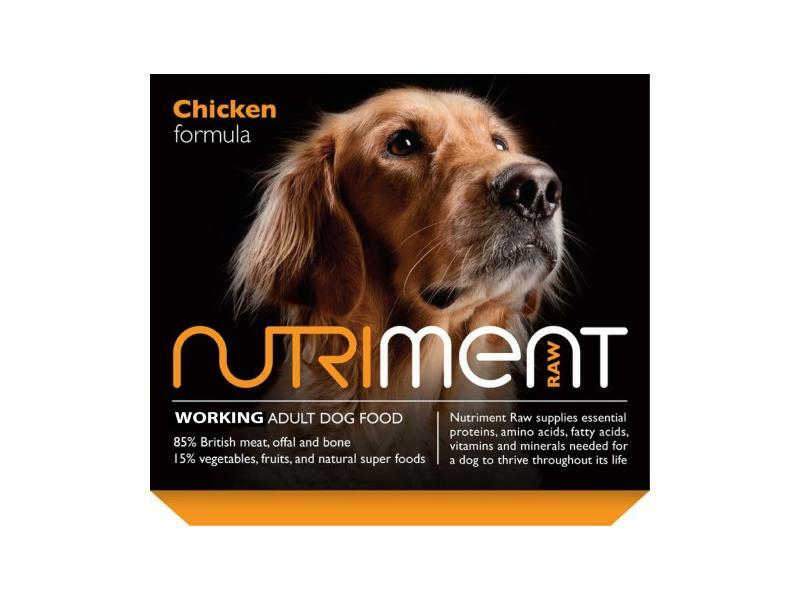 *A formula containing proteins that are perfect for dogs with certain protein allergies and intolerances. 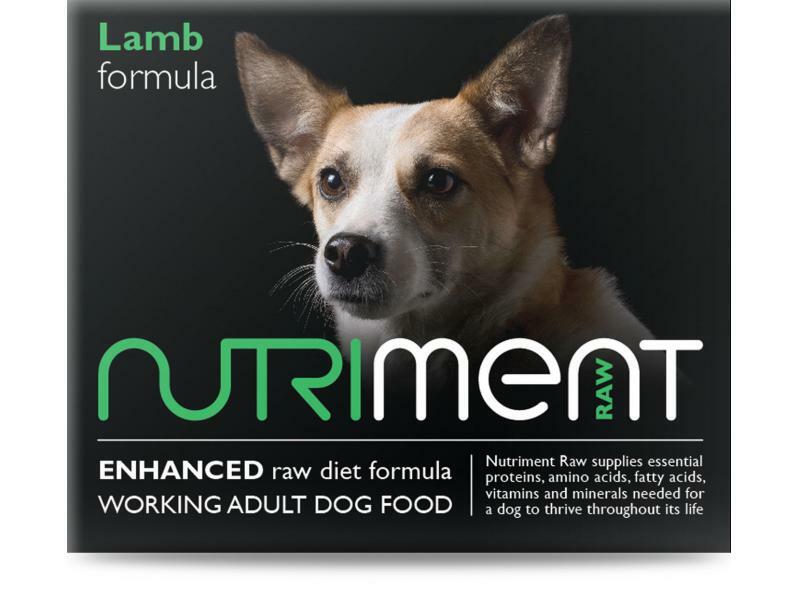 Contains 85% British fresh meat, offal and bone. 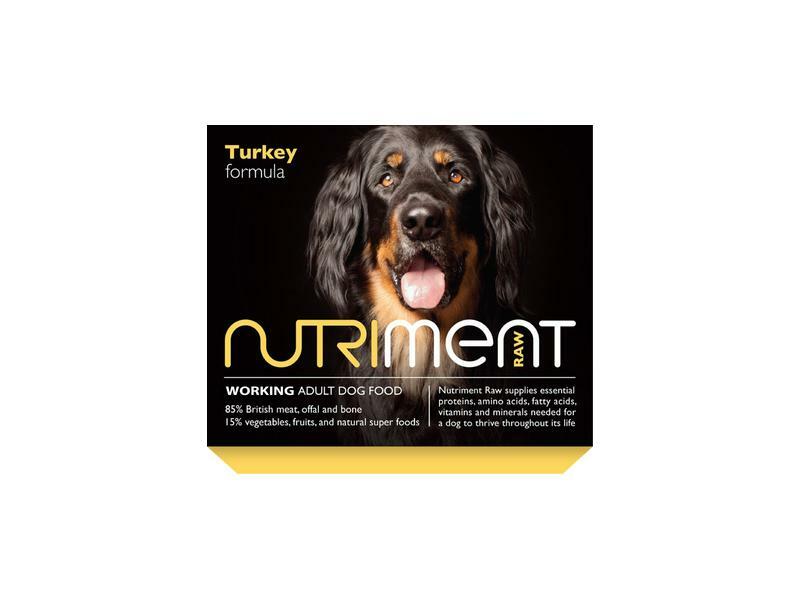 15% vegetables, fruit and natural super foods. 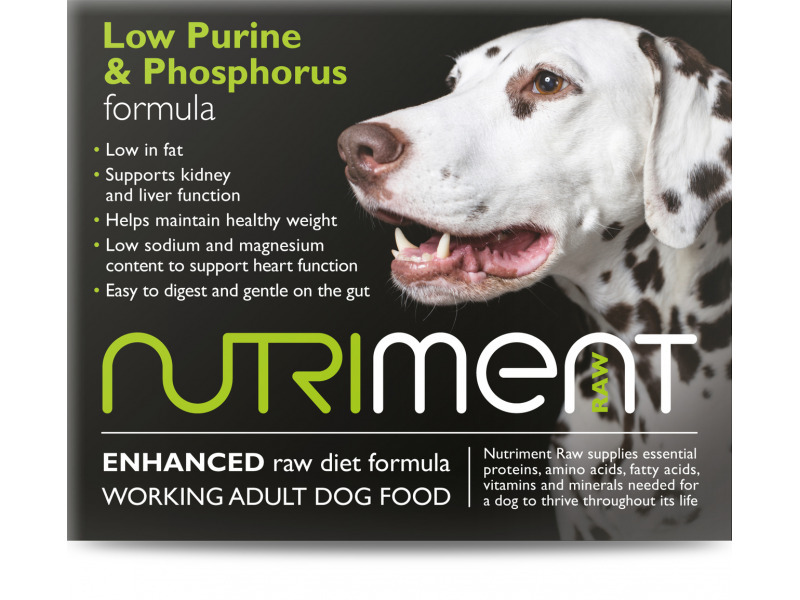 Just check out the other ingredients! 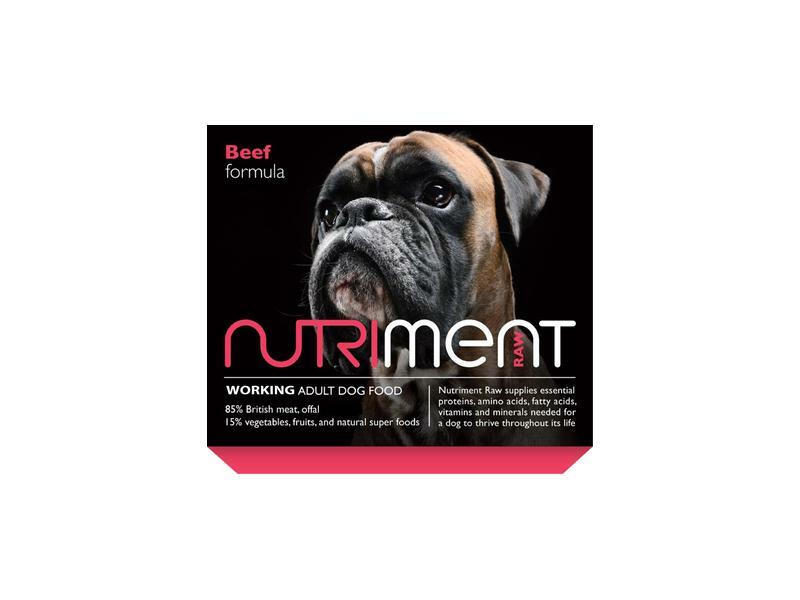 Below are some recent questions we've received regarding Nutriment Raw Complete Adult Formula, including answers from our team. 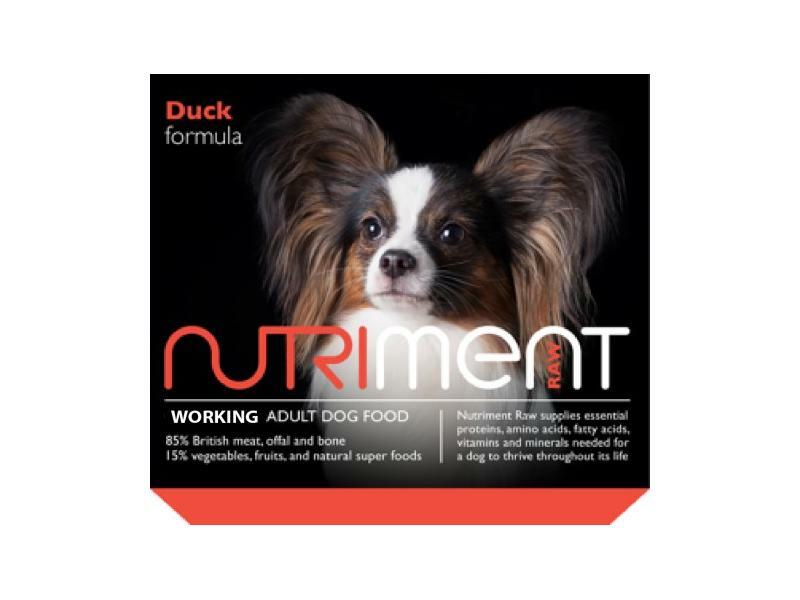 would i be able to freeze these after delivery ? These will be delivered frozen so they just need to go straight into the freezer.